When non-marketing professionals have a good grasp of the basics of marketing, they collaborate more effectively with the marketing team and the chances of the organisation’s marketing being successful in driving superior business performance are significantly increased. And when they don’t, misunderstandings and misperceptions can result not only in poor working relationships, but also in lost opportunities to engage customers and win new business. That’s why this new series of one-day marketing masterclasses for senior executives in finance, human resources, technology and sales, as well as board members has been developed. By participating in the courses, delegates will gain an understanding of the essentials and value of marketing as well as an enhanced ability to think strategically and creatively about marketing. They’ll be able to input positively to their organisation’s marketing, increase their confidence in dealing with marketing issues, and improve collaboration with their marketing team. All of which will enable them to create a customer-oriented culture in their organisation. 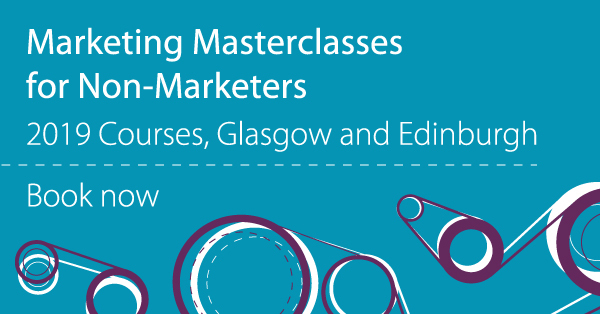 Do you want to get to grips with marketing to help drive your organisation’s performance and boost your career? Download the course brochure to find out more. If you have any questions about the courses, please do contact me.